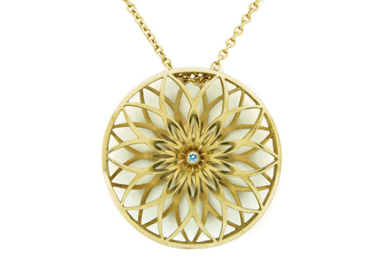 Floral circular pendant that is three dimensional not your ordinary flower. Set with a small diamond. Click here to learn more about Jessica Fields.